Standing in a line to pay the electricity bill would no longer trouble people because we bring to them the facility of online payment of the electricity bills. 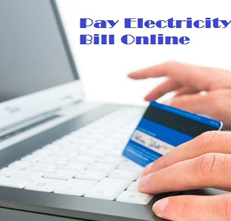 The customers can pay their electricity bills through our portal without having to stand in long queues for the same. The transaction takes place through a secured gateway and with a very minimal transaction charge. The customer can also set reminders to get reminded of the due dates to pay the electricity bill. Thus, customers can now easily pay their electricity bills without fearing to stand in long queues or the extra fine charges.